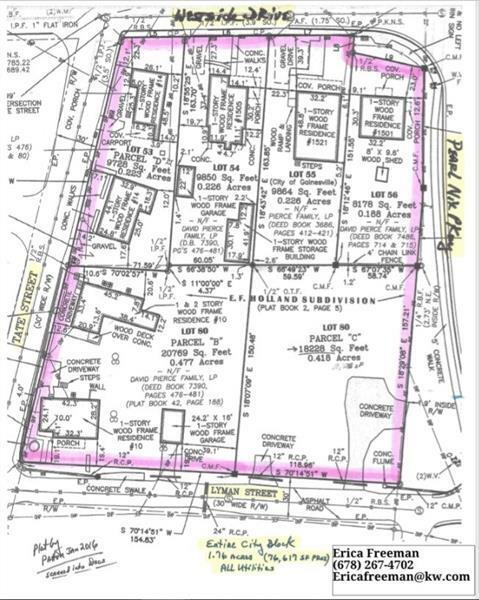 LARGE ROAD FRONTAGE: PEARL NIX PKWY - HEAVILY TRAFFICKEDENTIRE CITY BLOCK 1.76 ACRES (approximate 76,617 SQFT) ALL UTILITIES! 6 Rental houses, 1 Triplex. 1 Garage unit. 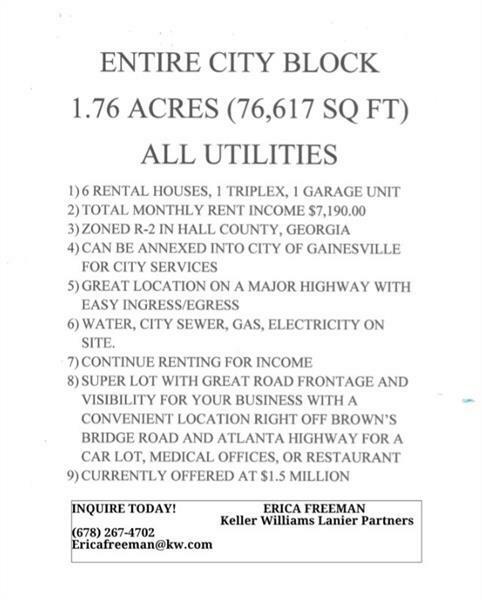 Total monthly rent $7,190.00. Zoned R-2. Water, city sewer, gas, & electricity on site. 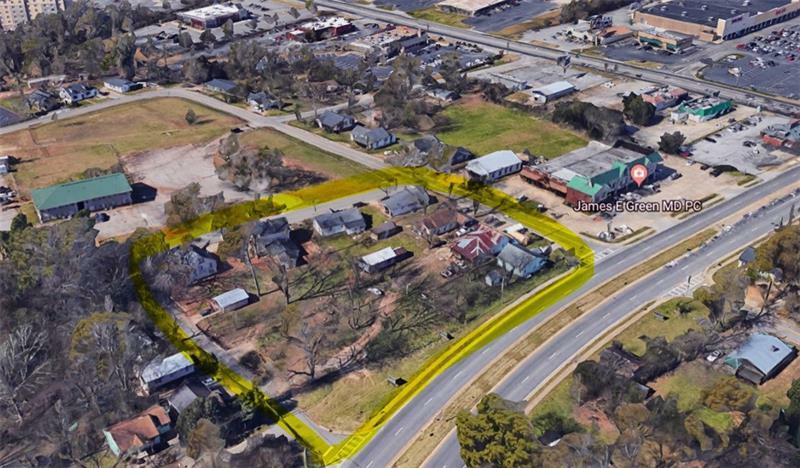 Great location on a major highway with easy ingress/egress - great road frontage & visibility for your business with a convenient location right off browns bridge Rd and Atlanta hwy. Perfect for a hotel, car lot, office space, retail, or restaurant. Homes are currently tenant occupied.